On the morning of Dec. 6th, five Hailstones, one guest poet, an MBS reporter and a TV cameraman gathered in front of Yasu Station. 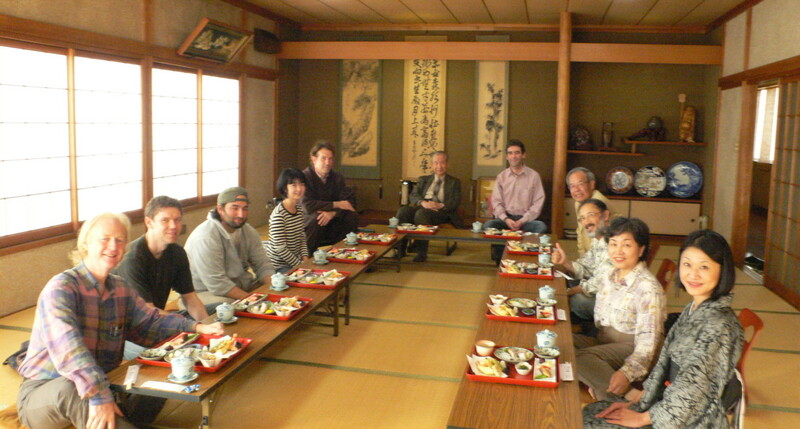 The guest was Judy Kendall, who had once lived in Kanazawa but was now on a visit from the UK. Yasu in Shiga Prefecture (Omi Country) is the birthplace of Kitamura Kigin (1624-1705), the teacher of Basho, and is famous for eye-catching Mt. Mikami (432 m). This name is an honorific for its god. “I was pleased because Mt. Mikami looked like Mt. 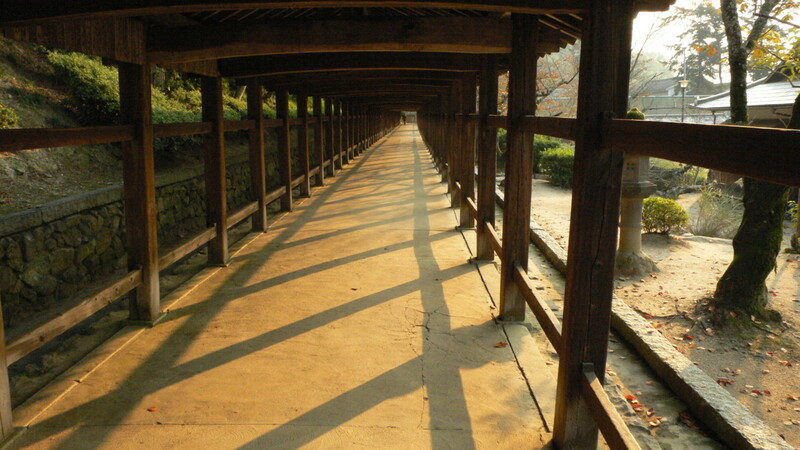 Fuji…”, Basho once wrote in his famous haibun, ‘Record of the Illusion-dwelling Hut’ (Genjuan no ki). The mountain is also known as Omi Fuji. The mountain has another name – ‘Mukade-yama’, Centipede Mountain! A tenth century folktale tells us that there once was a giant centipede inhabiting the mountain that harrassed people nearby. It wound itself round Omi Fuji seven-and-a-half times before being killed by the warrior Tawara-no-Hyota. The monster was presumed to have been the vengeful spirit of the deceased general, Taira-no-Masakado. Dreadful! Before climbing, we visited Mikami Shrine to pray, as a courtesy, for a safe climb. That morning, a wedding ceremony was being held. The trail to the mountain-top was gated against the wild boar that might otherwise raid the village fields. Once past, our path climbed through dark cedar forest. We came across a flat place where a temple called Myokendo had once stood. The only remaining wooden structure had completely collapsed. The trail become steeper and steeper as a view gradually spread out. top to bottom: a British Basho, a Japanese Wordsworth and an American Zeami? 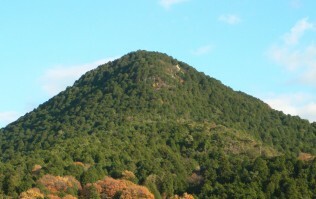 At the top was a large sacred rock where Amenomikage (grandson of Amaterasu and diety of Mikami Shrine), had descended to earth. To have lunch on the rock would have been truly ‘awesome’ (but we refrained)! Instead, we rested on an outcrop just outside the consecrated zone. Wonderful was the view from the mountain out across the plain of Goshu (another name for Omi): withered winter paddies in sunshine, a hazy Hiei and Hira (mountains) across Biwa Lake. sometime after broadcast and click ‘programmes’, then ‘Between the Ears’; or ‘schedule’ and find it there. You should be able to listen to it for at least a week after broadcast, maybe more. The haiku are all (except one) by Japanese poets, several of them belonging to the Hailstone Haiku Circle! The programme is mostly in English. Hailstones will also feature in a forthcoming Mainichi TV news programme (Kansai area only), entitled Voice. You will most probably see the Yomiuri Eigo de Haiku (Nov.) class, our Autumn Haike up Mt. 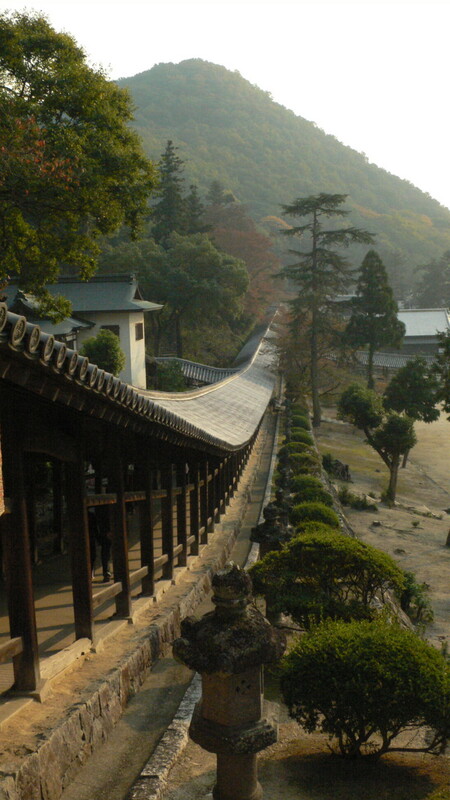 Mikami in Shiga, as well as dressing a pine-tree with poems up on Mt. Ogura. The approx. 10-min. corner is called Kiwamon and is scheduled to go out on Friday 18 Dec. between 17:50 and 18:40 . 毎日放送の関西エリアで17:50～18:40の間（10分ほど？）12月18日(金)放送予定。「VOICEコーナー　きわもん」Although the haiku will be shown in English, this programme is in Japanese. 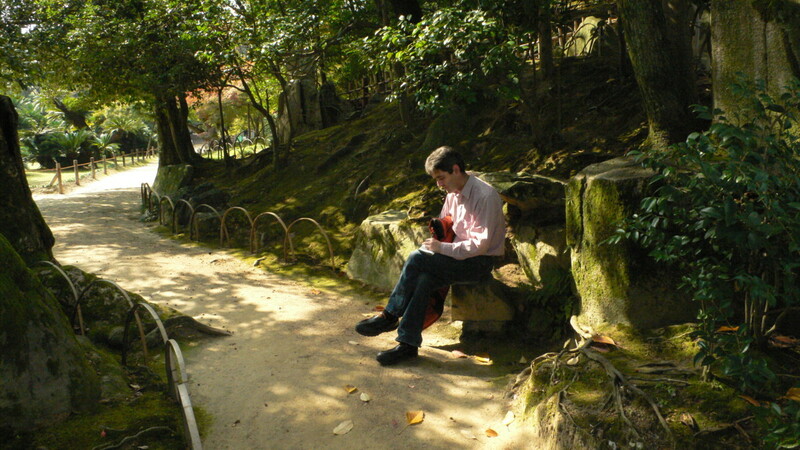 Hisashi is helping at present with translation of some of the haiku into Japanese. An article in Japanese will also be found for a while after broadcast at <http://www.mbs.jp/voice/special/cat1315.shtml&gt; Let’s hope this brings more volunteers onto Mt. Ogura! 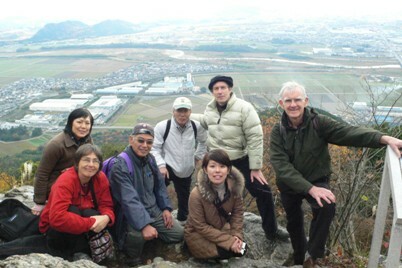 Blessed with halcyon autumn weather, eleven of us assembled in Okayama for the weekend of Nov. 7 and 8. Haiku composition (ginko) began in the gardens of Korakuen, continuing in the older Kibiji district at Kibitsu Jinja, a short train ride and a walk away. The renga was edited by Nobuyuki and Sean, and just the opening sequence is given below. In all, there are 18 stanzas. Publication is currently being sought in a British journal. 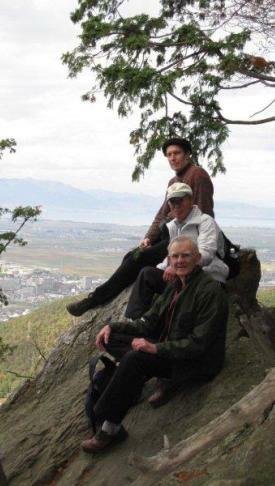 Three of us were invited by our hosts, Sean and Junko, to stay overnight in the village of Yuzuri. The renga compilation continued there (as well as later in an email exchange between the two editors). 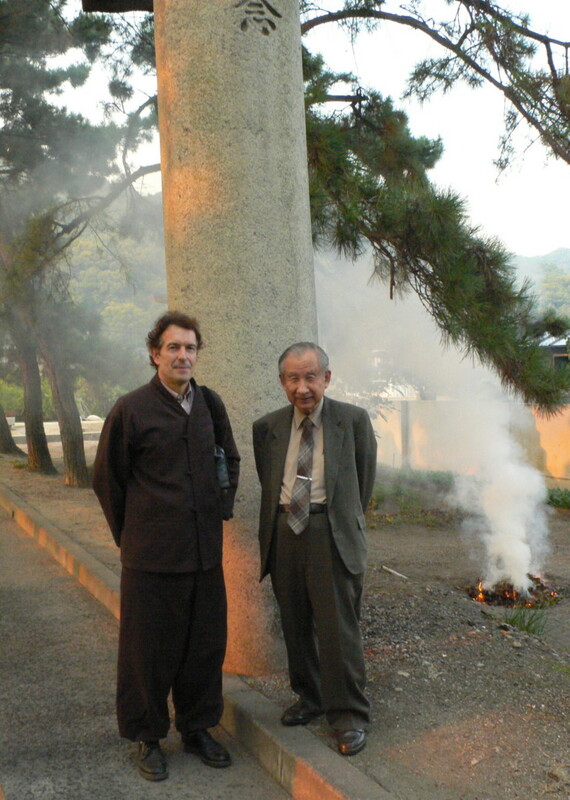 Our thanks to them both for their efforts, and to Junko, too, for convivial hospitality.